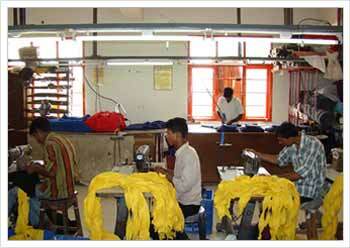 We have established two manufacturing units with state-of-the-art infrastructural facilities. Each unit covers approximately 10000 sq. ft. of sprawling area. 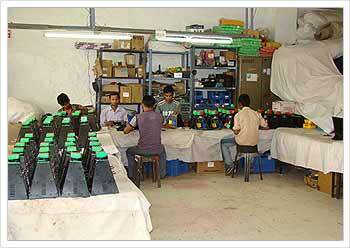 Our manufacturing facility is characterized by cutting-edge technology and talented workforce. All the members involved in production are trained to follow Best International Practices to eliminate any possible flaws. 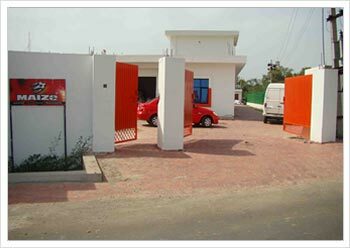 We also have a separate designing unit and facilities that enable us to customize products as per the demands of the clients. 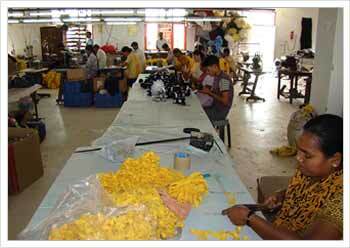 The latest 92 stitching machines provide fast turnaround for bulk production. Our current installed capacity is approximately 20,000 units per month. We conduct regular auditing and upgrade our facilities and processes to deliver high-performance products for the future market.